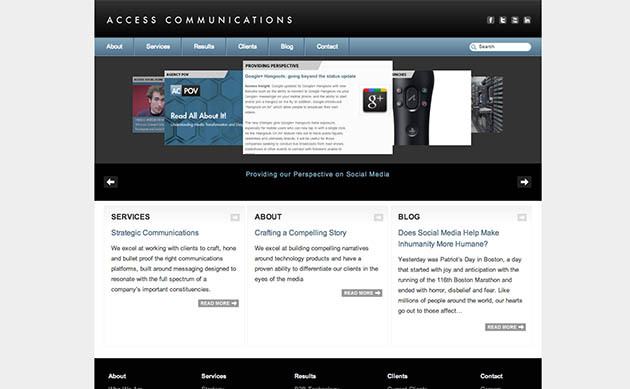 Access Communications approached me with an ambitious set of requirements for their website. Creative use of PHP custom functions allowed me to create custom pages and place content precisely where they wanted it. The website includes a customized homepage carousel slider, custom homepage content blocks, and custom sidebar navigation. Other than PHP for function, I wrote custom CSS to match the visual design and style supplied by Access. Once the website was working I was able to refine it and meet their objectives.